Mouse + Gingerbread House = DISASTER! Merriweather Matthew Mouse makes himself at home in a gingerbread house under a Christmas tree. But the candies and goodies are too tempting - find out what havoc Merriweather wreaks, and who comes to his rescue! The Mouse Ate the House, a new children's book from Huron River Press, is a truly delightful read for the holiday season. This 26-page book, with its whimsical rhyme and fantastical illustrations is a treat for the whole family; a book to be read aloud to toddlers and read by young readers alike. Written by Sheila Pursglove Illustrated by Bily Charley Published by Huron River Press, October 2008 8-3/4 x 11-1/4 inches, 26 pages, Hardcover - Youth Ages 3-7 ISBN 1-932399-19-4 Signed by the author! Meet Merriweather Mouse: Press Release! 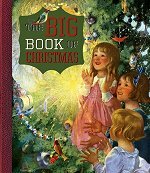 An absolute must for any collector of Inge- glas ornaments or any person passionate about Christmas! 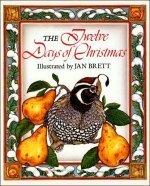 "Christmas and Traditions" written by Klaus & Birgit Müller-Blech, this 160 page comprehensive book is loaded with phtotos, illustrations and maps and covers the celebration of Christmas from their unique perspective. 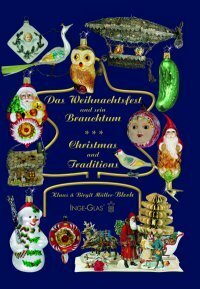 The book covers the history of glass Christmas ornament making; the history of the Inge-glas firm; the 14 generations of the Müller-Blech family; a tour of the Historical Museum in Neustadt; a tour of the factory illustrating the process in the production of these glass ornaments. 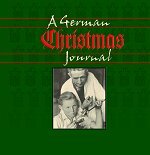 The creation of this book, like the Historical German Christmas Museum in Neustadt was driven by the author's love for those things surrounding the season of Christmas. ISBN 3-00-015431-0 160 pages - 8-7/8 x 12-5/8 inches DVD Included - "A Visit to the Glass Blower's Workshop" Printed in German & English Published 2008 In Stock!